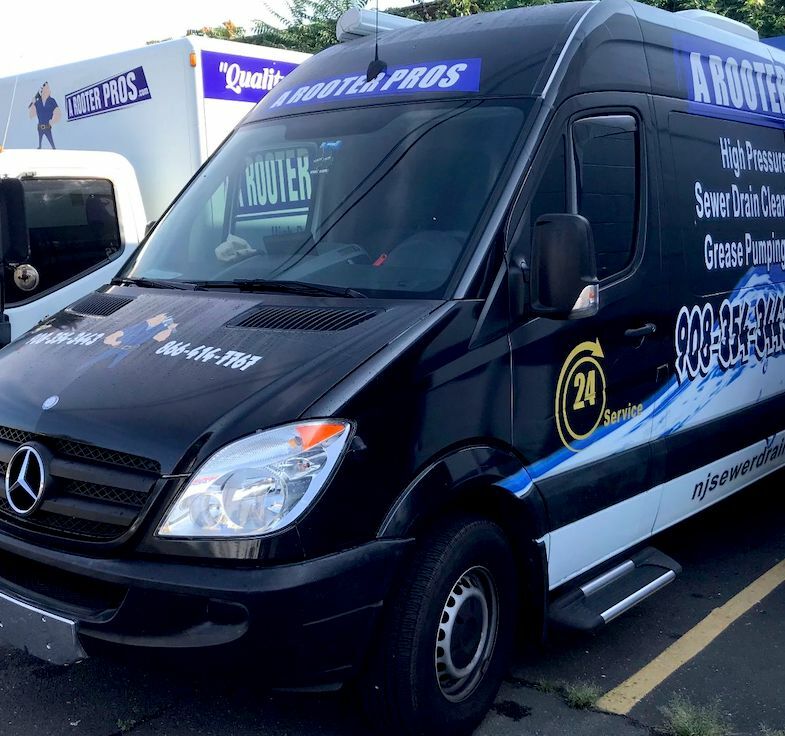 A Rooter Pros are New Jersey’s drain cleaning, sewer repair and grease trap cleaning experts. We are a local, family owned business offering experience, trust and upfront, flat rate pricing. We work with residential and commercial customers. 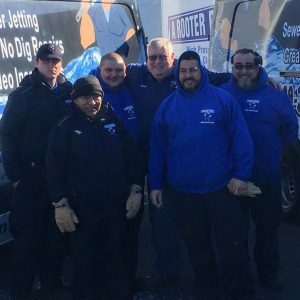 We offer drain cleaning, sewer cleaning, trenchless sewer repair, grease trap pumping, video camera pipe inspection, hydrojetting and more in our New Jersey service area. We serve Union, Essex, Ocean, Morris, Warren, Hunterdon, Passaic, Hudson and Bergen Counties. We unclog toilet, bathroom tub and sink drains, kitchen sink clogs, basement and floor drains. We install and repair faucets, valves, pipes in the kitchen, bathroom or basement. Call for any plumbing fixture, faucet, sink or toilet installation or repair. Using the latest video camera equipment to inspect drains and high pressure jetting equipment to clear clogs, we quickly resolve any drain problem. Have your sewer line inspected with a video camera before starting a repair. Trenchless or “no dig” sewer repair is an advanced sewer repair technique that can be done without digging on your property. Trenchless sewer line replacement or repair costs less and keeps your yard and landscaping intact. We provide expert grease trap cleaning, pumping, installation and repair in NJ. If you have a flooded basement or sewage backup in NJ, call us for fast emergency response. A Rooter Pros installs and repairs sump pumps in New Jersey within our service area. High pressure jetting removes obstructions and cleans pipes. We remove clogs from sink, tub, shower drains and toilets. Locate sewer line problems with video camera inspections. Extend the life of cast iron pipes by removing corrosion. Grease trap installation, repair and maintenance. We are trenchless (no-dig) sewer repair specialists. We quickly remove clogs in toilets and drains. We inspect and clean sewer lines. The whole team was incredibly friendly, down to earth, punctual, timely, cost effective, and efficient. by 11:30am the clogged toilet, shower and sink was completely resolved, with a very reasonable cost of service. i will absolutely be using nj sewer drain in the future if need be. i highly recommend this company and their services! I love to shout through the hills when I get good service. A Rooter Pros fixed three items on my list today for a fair price an had super friendly service. I loved that they even finished off a pedestal sink by caulking all around the sink for a fresh new look. Highly recommended. The drain plug for my sewer clean out broke and fell down into the pipe. A++++ rating for A Rooter Pros. I would definitely use them again. This team was very responsive, professional, neat and efficient. The price was very reasonable. I will be calling them for another job next week. It’s a good company. Unclogging drains is part of our drain cleaning service in New Jersey. Here are some of the surprising things we have found in toilets.